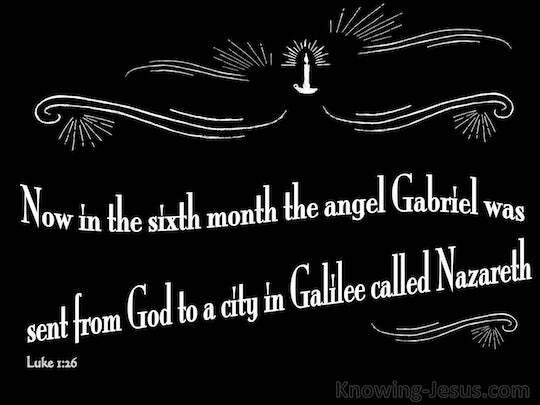 25 "Thus has the Lord dealt with me," she said, "now that He has graciously taken away my reproach among men." 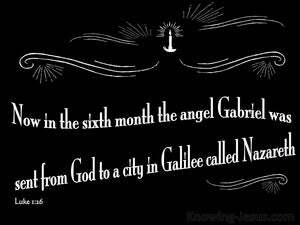 26 Now in the sixth month the angel Gabriel was sent from God to a town in Galilee called Nazareth, 27 to a maiden betrothed to a man of the name of Joseph, a descendant of David. The maiden's name was Mary. Then Philip found Nathanael, and said to him, "We have found him about whom Moses in the Law wrote, as well as the Prophets--Jesus, the son of Joseph, a man of Nazareth." Others said, "He is the Christ." 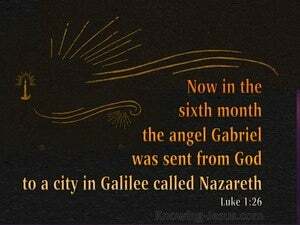 But others again, "Not so, for is the Christ to come from Galilee?